At Inspired we strive to create elegant and affordable windows & doors tailored to suit the clients brief. We take pride in our work and rely on recommendations for future work. A majority of our work comes from repeat clients and recommendations, which is testimony to the quality of service provided. We have over 25 years experience of the architectural and construction industry. Through our fully chartered architectural design company (m t architectural) we can create exceptional, affordable designs solutions and offer the highest quality service throughout the whole building process. 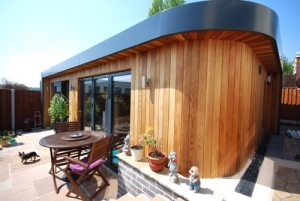 At Inspired Garden Rooms we design and build inspirational garden rooms which in most cases do not need planning permission or building regulations. 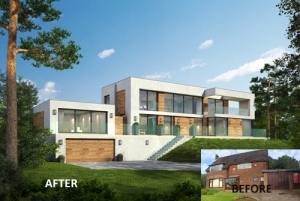 Our in house chartered architectural team will guide you through the process. 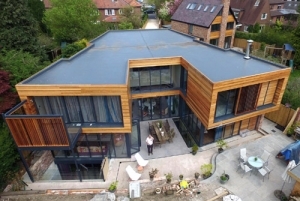 Fully chartered architectural consultants providing elegant and affordable design for projects ranging from new houses, extensions, schools, dental surgeries, golf clubs, and much much more.